Happy Birthday from Chennai, India! 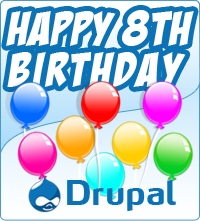 I am so excited Drupal turn's 8 Today. Happy Birthday! You can do so much with Drupal.